Though it’s been about a week since I dined there, I would be remiss to not share with you the amazing meal I recently experienced at a relatively new Providence restaurant, Jacky’s Waterplace and Sushi Bar. Located downtown near the Providence Train Station, Jacky’s offers an extensive menu of elegantly cooked and presented Chinese fare and a wide assortment of sushi. 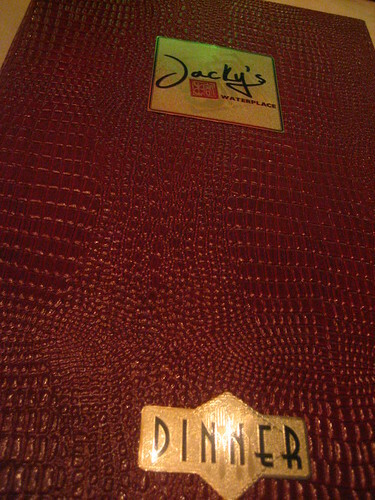 One of the most beautiful restaurants I have literally ever seen, Jacky’s was the ideal spot to celebrate New Year’s Day with my family. My husband and I decided to take out the women and munchkins in our life. My mom, sister, nephews, husband’s mom and husband’s sister all gathered to share some good food and good times. 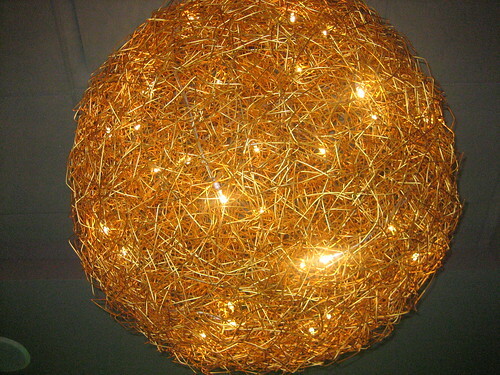 Upon entrance, we marveled at the sleek, modern decor, which boasted an enormous fish tank as well as these fancy gold ball chandeliers. Since Jacky’s is located in a apartment/slash condo highrise, it offers stunning views overlooking Providence’s Waterplace Park. We took our time perusing the lengthy menu, which offered plenty of my favorite vegetarian dishes. Since there are a few Jacky’s restaurants across Rhode Island, I pretty much knew what I was getting ahead of time, but it was fun to browse the offerings anyway! 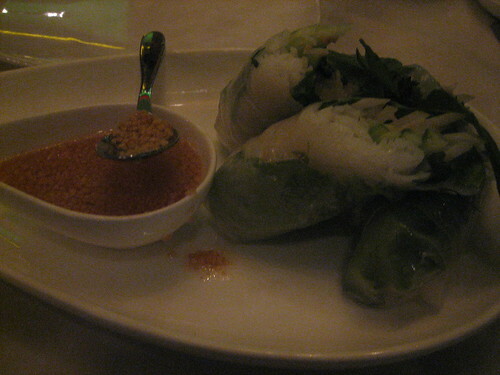 I began my meal with a cup of green tea and an entire order of vegetarian nime chow, or summer rolls, served with a sweet peanut sauce. Nime chow is my absolute favorite thing to order in Asian restaurants, and this time I wasn’t messing around, making sure to secure a full order of the veggie and rice noodle stuffed rice paper wraps all to myself! Cool, light, and refreshing, I ate the whole thing! My mom and I shared two dishes. 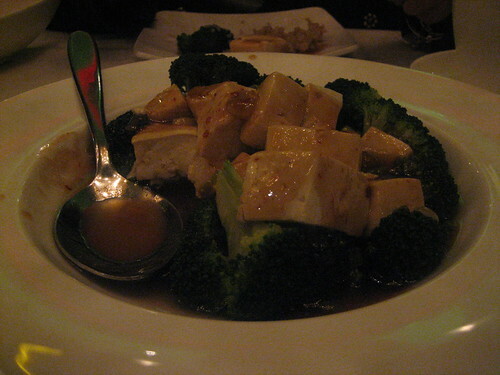 First was the General Tsao’s tofu, which I requested to include steamed tofu instead of fried. Loaded with tofu, broccoli, and a yummy, spicy sauce, it was a winner of a dish. 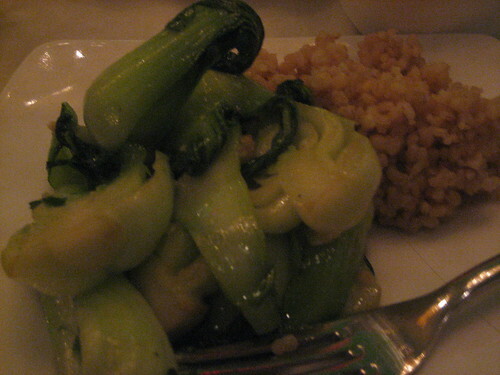 My favorite though, was the baby bok choy sauteed in a garlic sauce. It was sweet, tender, and loaded with a garlicky flavor I thoroughly enjoyed. 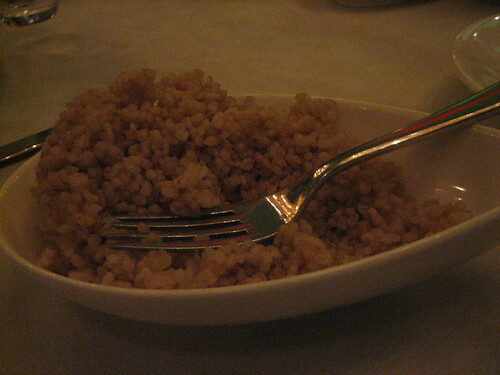 Brown rice was consumed as well– I love when restaurants offer brown rice! 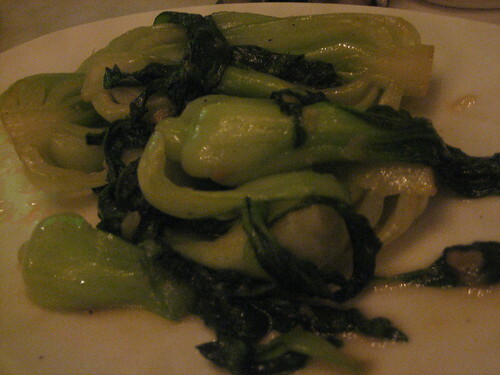 I ate so much bok choy– gotta get in the greens, right? 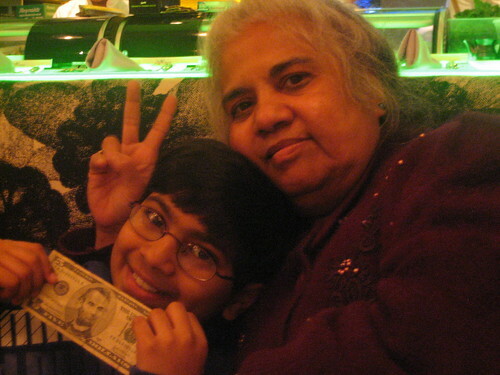 We took some awesome pictures– imagine my mom giving both money and bunny ears to my cutie nephew! 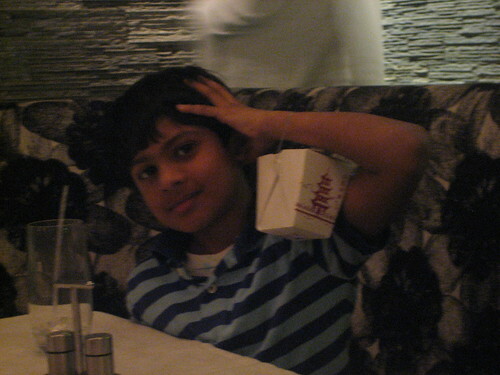 Here’s my other nephew striking a pose with his new handbag. I wish I had a handbag stuffed with Chinese food! We had a fantastic meal– the food rocked, the service was wonderful, and the restaurant’s atmosphere made it feel like we were at a uber-fancy restaurant in New York without the sky-high prices! 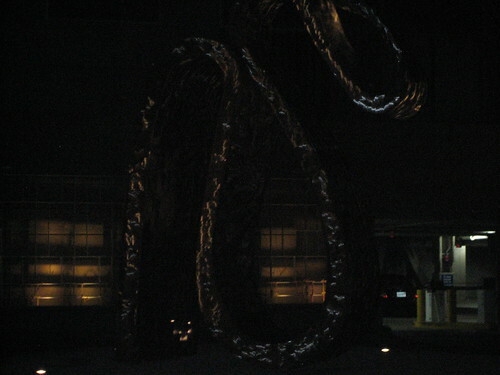 I wanted to show you the cool dragon artwork the restaurant features right outside of its lobby, where cars pull up for free valet. It’s really impressive and unexpected, just like the restaurant itself. 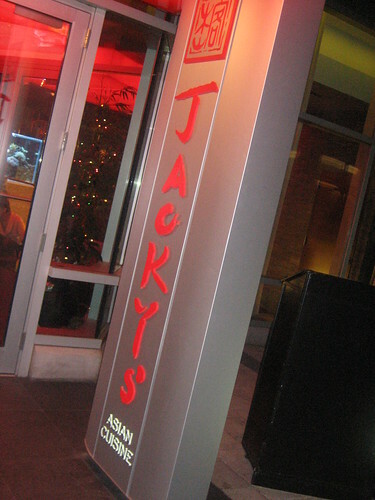 Jacky’s was a really nice way to ring in the New Year. It’s my new favorite Asian restaurant, and I cannot wait to return for more of that nime chow! What’s your favorite dish to order at an Asian restaurant?